Neonatal hypoglycemia is a condition characterized by decreased blood sugar or hypoglycemia in a neonate. Symptoms include Jitteriness, Cyanosis (blue coloring), Apnea (stopping breathing), Hypothermia (low body temperature), Poor body tone, Poor feeding. 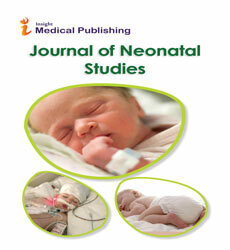 It is also caused in infants who are born to diabetic mothers.Many infants remain asymptomatic. Prolonged or severe hypoglycemia causes both adrenergic and neuroglycopenic signs. Adrenergic signs include diaphoresis, tachycardia, lethargy or weakness, and shakiness. Neuroglycopenic signs include seizure, coma, cyanotic episodes, apnea, bradycardia.